St. John is an island that is lush with low-key pleasures, a place where relaxation and action are both at arms’ length. A visitor can snorkel alongside giant turtles and kick back with a rum daiquiri a short while later. And with fewer resorts and tourist traps than many Caribbean islands, you won’t have any distractions during your stay. Of course, St. John’s main draw is the Virgin Islands National Park, which constitutes close to 60 percent of the island. That means there’s a great deal of pristine terrain to explore, including flora, fauna, and white sand beaches. Throughout the park, visitors can indulge in the island’s history, such as paths spotted with the ruins of plantation estates. In the Reef Bay Trail area of the park, ancient Taíno petroglyphs tell stories of a forgotten past. And that’s not all. If you have any questions, be sure to ask our knowledgeable concierges. They have all the answers for a perfect St. John getaway. Contact our Caribbean villa rental experts today to reserve your next trip to St. John. 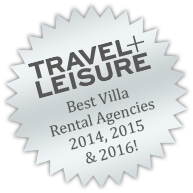 Our luxury vacation rental homes are waiting. Tell you where to taste the best rum on the island.